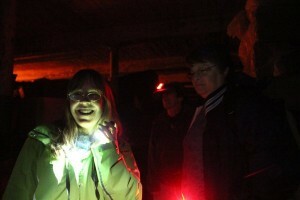 It was a little over a year and two month ago from today that I first met the Maine Ghost Hunters. I’m from New Hampshire and I had been curious to see if there were any paranormal groups in my state that held public events and investigations. Like most people involved in the paranormal I have had my own experiences growing up and wanted to learn more about what was going on, as well as meet new people who felt the same way. Unfortunately there weren’t any groups in NH that were having public events and investigations, but during my research I did find out about the Maine Ghost Hunters. I became a “fan” of theirs on facebook, you know before they were “like” pages. I really enjoyed their posts, and decided if they had any events near or in NH, I would go. 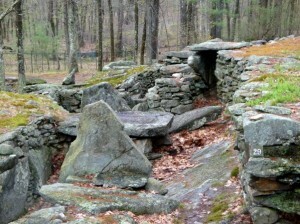 It wasn’t too long after I thought that, that they posted a Meetup event at America’s Stonehenge, which is in Salem, NH. I signed up immediately, and that Meetup was when I first met Kat, Tony and David. It was a cool misty April day, which added the perfect touch to the sense of mystery that is America’s Stonehenge. Kat, Tony and David on the other hand were anything but mysterious; they were just as open and welcoming as can be. With work and some others things going on in my life, I wasn’t able to go to another Meetup until a little while later. My parents have a boat in Kennebunkport, Maine, so I’m actually in Maine quite a bit in the summer. It was during the summer of last year that Maine Ghost Hunters started their “Sunday Cemetery Series”. Well, specifically Windy from MGH started it. I believe “Black Point Cemetery” was their first in the series, and the first time I met Miss Windy, the famous taphophile. I have to admit I became absolutely hooked on cemeteries, once I met Windy and went to the rest of the “Sunday Cemetery Series”. The history and stories of the people throughout the centuries, adds a beautiful and un-fearful dimension to something most people are afraid of. 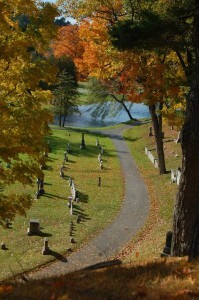 The 2010 season finale ended at Mount Hope Cemetery, and then a side trip to a certain famous horror writer’s house. That would be Stephen King of course! Then there was my first overnight Meetup investigation at the infamous “Mill Agent’s House” in Vassalborough. I had done my own “investigation” of the house I grew up in a while back, but except for that, I didn’t have a clue what a real investigation was like. First of all, when they say overnight, they mean for the whole night. When I signed up for the Meetup, I wasn’t even sure if I would last until 6am. I most certainly did though…and the subsequent overnight Meetups since. For one thing, time goes at a different pace when you’re investigating. You are so focus on communicating with an entity, and the adrenaline when you do communicate, that you feel like you’re in a different reality. It’s almost as if you’re traveling back in time in your mind, to when the person or persons lived. All I can say is that the more investigations you do, the more your mind opens up, and the less you think you know. This is in essence what I’ve learned the Maine Ghost Hunters are all about. There are a lot of mysteries in the world, the more you open your mind up to them the less scary they become.